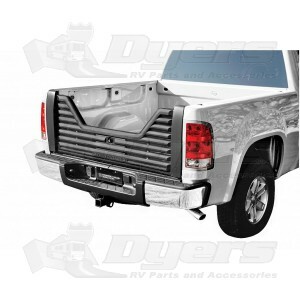 After being unable to find this Chevy tail gate locally or regionally in numerous supply houses I turned to the internet. My first contact was Dyers RV. Customer service was friendly, knowledgeable and informed me they had 16 in stock. The price was more than $50 less than the cheapest one I had found locally. Plus they offered FREE shipping and no sales tax! Shipping was fast as well. All was great n my book. I am definitely keeping Dyers in my "favorites" and will use them again.